Facebook's announcement on Monday that it had agreed to acquire Instagram, the popular social photo application for iPhone and Android devices, for $1 billion cash sparked a loud reaction online. And as is the case with most breaking news, the best place to find instant commentary was not on Facebook. It was on Twitter, where some of Instagram's 30 million users expressed concern that the social network, which has long battled privacy concerns, would now have access to their uploaded Instagram photos. "Uninstalling Instagram," Engadget co-founder Peter Rojas wrote in response to the news. "Most of instagrammers I know are very anti- #instaface #facegram #facepalm," Jessica Plautz wrote. "The boutique app that I truly enjoyed using on a daily basis is going to fade out of my life into memory :(," @nyfashionhunter responded to a Wall Street Journal post about the sale. Hundreds of tweeters disappointed by the merger could be found using the hashtag #facegram. BuzzFeed collected dozens more in a post titled "People Overreacting to Facebook Buying Instagram." Even fake celebrities on Twitter were outraged. "I can't believe Facebook bought Instagram for $1 billion! The fun's over!" the user @BettyFckinWhite wrote. "Time to delete my Instagram account now. Also, what's Instagram?" Meanwhile, tech blogs from Mashable to Time's Techland were soon offering tips for Instagram users on how to delete their accounts and export their images before the deal is finalized. Others used the sale as fodder for jokes aimed at Facebook's founder. "Zuckerberg bought Instagram because a girl didn't let him take her picture once," James Urbaniak wrote. 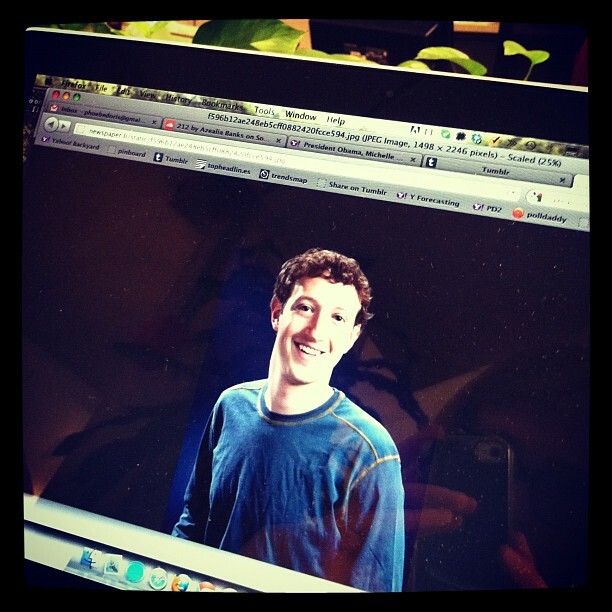 "Facebook buys Instagram for $1 billion," Justin McElroy quipped. "Bankrupt Kodak put on suicide watch." "Now that Facebook bought Instagram," Rob Delaney wrote, "'The Social Network 2' will have to be directed by Wes Anderson."